I have a couple of weeks of work coming up in the US and usually take a wad of cash and use my AMEX wherever possible. Qantas Travel Money - not sure I'll be able to use this as I've lost my Qantas card. It seems these services offer the convenience of ATM withdrawals overseas by the FX rate is anywhere up to 4c worse off than simply exchanging AUD for USD at a retail outlet like Crown Currency Exchange. Many of the stated benefits of these cards aren't really relevant for me - I'm not on a budget, I'm not particularly sensitive to FX movements. What's the general experience of community members? Are they worth the effort to set up? 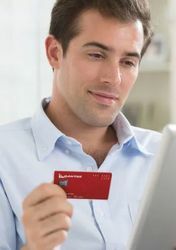 why wouldnt you use a debit card that doesnt charge fees? Take a look at this article - it might be useful for you. I use a few of those examples personally, and find it's great that they hold AUD like any other standard debit card, can be used at most ATMs to withdraw cash or for normal purchases without international transaction fees or inflated exchange rates, and don't have monthly account fees. I have used both Travelex and Qantas travel money in the USA. Generally found Travelex to have slightly better exchange rates. Both easy to set up and use. Didn't have much luck with the free wifi offered by Travelex. Travelex has no ATM fees versus $1.95 fee with Qantas, although I think Qantas has a no ATM fee promotion running currently. This doesn't mean the bank in the USA won't charge you a fee. One thing to take into consideration is that when I went (albeit 2 years ago) I couldn't link up my Travelex or Qantas travel money to Uber. I could link up Travelex to Lyft. Not sure if this has changed since then. Hi Markpk , you have answered your question in the first line.. cash + Amex card. The suggestion of Greg84 of getting a Citibank account is one I would investigate. Debit cards overseas can cause you problems eg car rentals, and in some cities eg Amsterdam attractions and public transport only take credit cards. p.s I know that Amsterdam isn't in the US but I know people who have gone to the USA and a debit card in some situations is basically useless. I’ve always just used my own card overseas and withdrawn from ATMs if I really need cash. A few debit cards don’t charge fees now and it’s not like the fees are generally huge anyway. My Citi card has been great with the exchange rate much better than a travel card. Had $2000 in emergency cash stolen from a hotel room safe once though so I avoid any significant amount of cash if I can. Last edited by Dredgy at Apr 09, 2019, 02.49 AM. I use my ING debit card which has (as do all debit cards) a much better exchange rate than all travel money cards, along with no ATM or transaction fees. I also use my debit card to withdraw a small amount of cash when I land in a foreign country, I never exchange cash in Australia. I’ll generally use that system except in countries where it’s mainly a cash economy and more cash is needed and my card is used less - for example Japan. I spend two months per year in the US. Bankwest Zero MasterCard for general purchases, hotels, car hire etc - no overseas fee, no annual fee. I would never use the pre loaded travel money cards. Even AMEX abroad is expensive unless you can somehow justify the point accrual. I concur with a lot of the other replies! With the Citibank card I withdraw only from major bank ATM's and have never seen a transaction charge. Exchange rate seems good. Same with EFTPOS. Qantas cash exchange rates can average 4-5% worse than the daily exchange rate on your credit card, which is usually an average 3% O/S transaction fee. So unless expecting a massive negative (more than 5%) dip in future exchange rates, I don’t use my QF Cash any more. Now use an Amex, and for cash out and where Amex is not taken a Ubank Ultra debit card which charges the standard Visa daily rate, without any O/S transaction fee. As others have noted there are quite a few other debit cards that do the same thing. Thanks for the feedback community. I'm going to run with plan A for this trip (AMEX/Cash) and investigate the UBank and Citibank options as they seem like a smart addition to my wallet. USA depends largely on where you go. If you’re in a metro area you can get away with using the Amex almost exclusively (besides tips), if you’re heading out of town... cash is the way to go. Keep in mind: as a tourist or outsider; you are targeted by pickpockets, so cash, rather then atm travel cash card, has its drawbacks. Personally, if I’m heading away from the metro area, I have enough cash for food and transportation. The rest is safe in a travel atm card. For some time now 28 Degree Mastercard has slugged you with a 3% cash advance fee which is as bad as the forex rate on other ATM cards. It is still the best option for credit card purchases, with zero forex conversion charges. For cash I pair it with the Citibank Plus Visa Debit card, which offers zero forex conversion charges on ATM withdrawals. Many people are now recommending the ING Orange Everyday Visa Debit card which also has zero forex conversion charges and refunds any overseas ATM fees.